Manifold gasket set, 3 in 1 style 2 piece set. copper clad, with steel glands installed. 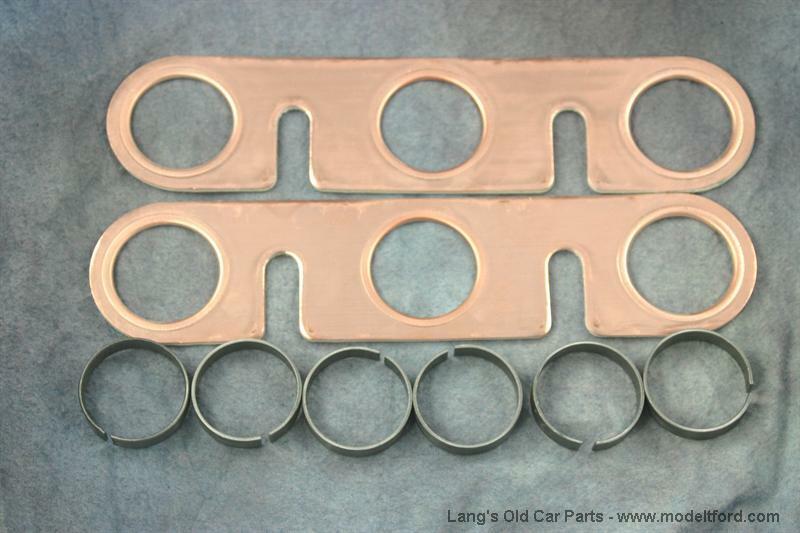 This gasket sets into the exhaust and manifold ports, excellent quality and fit. 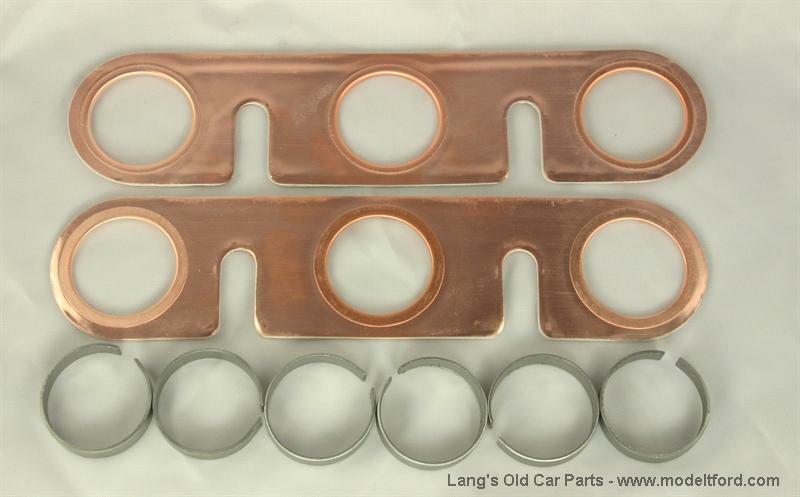 This gasket set is recommended because it is easier to install than the original style part# 3063-64 which has 12 pieces to be held in place while mounting. The gland rings hold the manifold in place to help prevent the manifold from bending as it is constantly being heated and cooled. Helpful Hint: To check for a straight manifold, place a straight edge across the bottom edge of the 4 manifold holes. They should all be in alignment. If your manifold is warped (bent), the hole closest to the exhaust pack nut will be lower than the rest. Will this manifold gasket set also work with a warped (bent) manifold? 61 out of 93 found this answer useful.